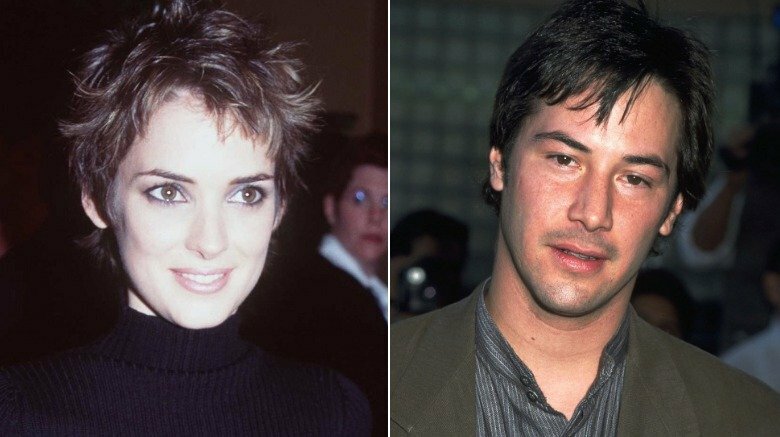 Keanu Reeves and Winona Ryder both rose to fame throughout the late '80s and early '90s. Their careers crossed paths many times, starting in 1992's Bram Stoker's Dracula. 2006's A Scanner Darkly and 2009's The Private Lives of Pippa Lee followed, helping to shape the co-stars' close friendship, which spans over thirty years. And despite (reportedly) never being linked romantically with one another, their palpable connection has endured many tragic and difficult real-life events, such as Ryder's arrest in 2001 for shoplifting, and the deaths of Reeves' daughter and his ex-girlfriend. While both stars have faced immense hardships throughout their lives and careers, they've never lost touch with one another. 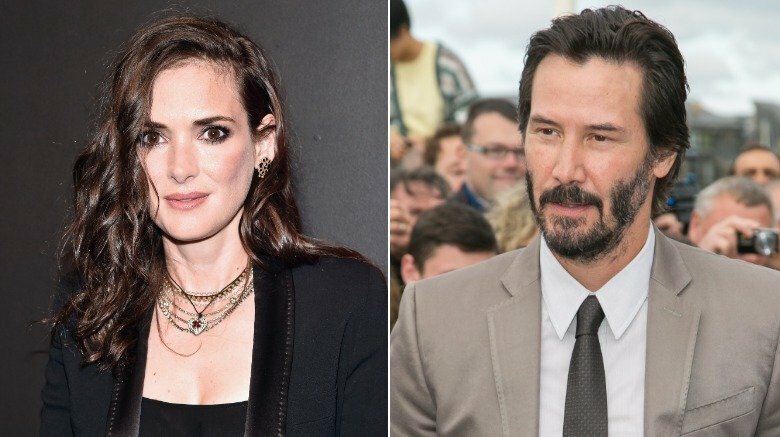 From their very first meeting, to their subsequent co-starring roles, there's always been something magical about seeing Keanu Reeves and Winona Ryder together. And if their unmistakable on-screen chemistry in the 2018 romantic-comedy-drama Destination Wedding was any indication, they've still go it after all these years. Here's everything you need to know about their enviable and enduring friendship. Three decades after their very first meeting, Ryder and Reeves reminisced about that fateful day while promoting their 2018 movie, Destination Wedding. Reeves revealed to People, "We met in the late 80s, like '87, '88, at one of the early Independent Spirit Awards." More impressive is the fact that the pair presented one of the awards together, but as the ceremony took place in the '80s, there was a lot less publicity and paparazzi than there would be today. Vulture notes that it was "the third annual Independent Spirit Awards, held at the restaurant 385 North in Los Angeles," that the actors met for the first time. Of the ceremony, Ryder told People, "It wasn't televised. Buck Henry was the emcee, and we gave out Best Supporting Actor." And that's not all. In 2009, Ryder opened up about the important friendship she formed with Reeves after that first meeting, in which he instantly felt like family. As she explained to BlackBook in 2009, "I've known Keanu since I was 16, so he's sort of like a brother to me." Having formed a great friendship after meeting at the Independent Spirit Awards, Ryder was keen to work with Reeves in a professional capacity. Flash forward to Bram Stoker's Dracula. When director Francis Ford Coppola was casting the role of Jonathan Harker, he apparently hoped to get Johnny Depp, who was dating Ryder at the time. (According to People, Ryder and Depp met in 1989 and got engaged in 1990. They announced their split in 1993, per ET). Speaking to Premiere magazine in 2005 (via the exhaustive Reeves fan archive Whoa Is (Not) Me ), Coppola revealed, "The studio thought [Depp] wasn't enough of a star. I was so embarrassed. So I said to Winona, 'What do you think? Who do you think they would think is a star who would want to do it?' And she said Keanu. I just thought he was a very nice person. I was so touched by his sincerity." 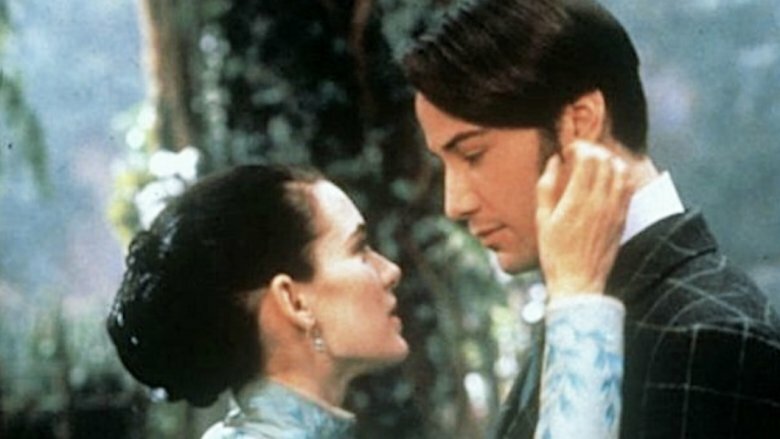 Reeves turned out to be a great confidante for Ryder on the set too, as she told Vanity Fair in 2018, "I have these journals, and I just pulled one out recently, and it was from around the time of Dracula." She explained that one entry read, "angst, angst, angst, angst, thank God for Keanu. Thank God I'm going to see Keanu." She continued, "I was always just so happy when you were around." Bram Stoker's Dracula concluded filming in January 1992. When Reeves and Ryder's characters got married in a scene for the movie, there's a real possibility that the wedding was real (although probably not legally binding). Speaking to Entertainment Weekly in 2018, Ryder explained, "We actually got married in Dracula. No, I swear to god I think we're married in real life." The Girl, Interrupted actress explained why saying, "In that scene, Francis [Ford Coppola] used a real Romanian priest." She continued, "We shot the master and he did the whole thing. So I think we're married." Basically, two of your favorite '90s stars might really be husband and wife, which is possibly the best thing we've ever heard. During the interview with Entertainment Weekly, Ryder asked Reeves, "Don't you remember that? It was on Valentine's Day." The star of The Matrix had the best response ever saying, "Oh my gosh, we're married." 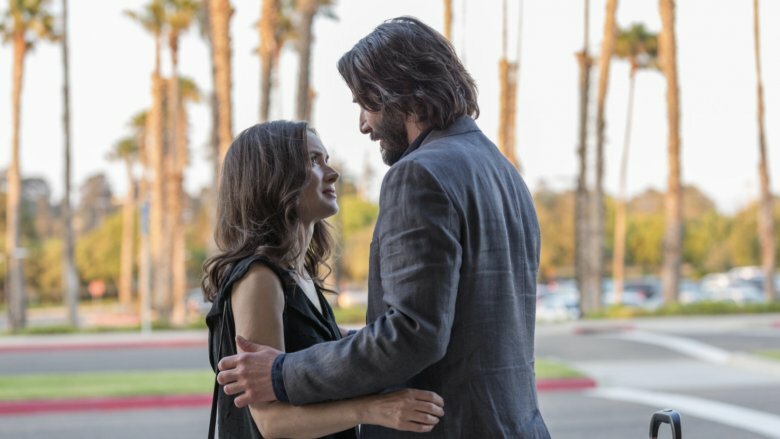 And it seems as though the on-set nuptials have carried over into real-life, with Reeves revealing on The Talk in January 2019 that Ryder sometimes texts him, "Hello, husband." Would anyone be mad if they just went ahead and made their union official at this point? Unsurprisingly, Reeves and Ryder have a slew of famous friends between them, and have often moved in the same circles in Hollywood. In an interview with German magazine Kino (via Whoa Is (Not) Me) in 1993, Reeves revealed, "I get together with River Phoenix, Winona Ryder and Johnny Depp, and I was friends with Drew Barrymore for a long time. I also spend a lot of time with the people I work with. But I am not one those actors who sleep with their co-stars. I'm almost a virginal monk!" While promoting Destination Wedding, Ryder revealed to Rotten Tomatoes that her friendship with Reeves had been going on for "over thirty" years. "I figured it out," she revealed to the interviewer. And the actress told Entertainment Tonight, "He's one of my favorite people. To work with. To be around." 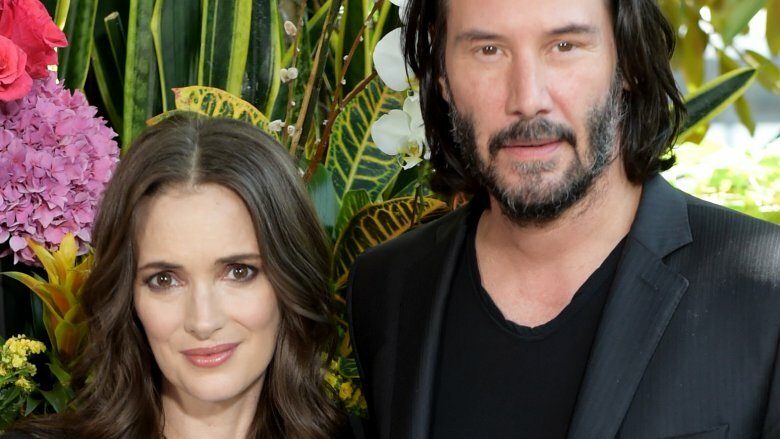 Reeves interjected, "I feel the same way about you," and it's clear that the Hollywood stars continue to gravitate towards one another, even if they're not still in touch with all of their famous friends from the '90s. Listing the attributes he loves about Ryder, Reeves also told Entertainment Tonight, "Good friend. Sense of humor. Intelligent mind. View of the world. Beautiful Heart. Beautiful Spirit. And a damn fine actress." All the feels! Ryder's career took a turn when she was arrested for shoplifting. In December 2001, Entertainment Weekly reported the incident saying that the star was "allegedly caught shoplifting nearly $5,000 worth of merchandise from the Saks Fifth Avenue department store in Beverly Hills." In November 2002, Ryder was found guilty "of grand theft and vandalism," per The New York Times, after allegedly being found with "$5,560 worth of stolen merchandise, including a cashmere Marc Jacobs sweater worth $760." E! News also listed a white Gucci dress worth $1595 and a $750 Yves Saint Laurent blouse as being among the items apparently stolen by the star. An extremely interesting detail to arise during the trial, via E! News, was that Ryder apparently kept Reeves's phone number in her personal "Filofax," along with Bono's (the lead singer of U2). The revelation about the longtime friends was revealed when Ryder's lawyer accused one of the department store security guards of "jotting down Keanu and Bono's respective digits from Ryder's datebook." 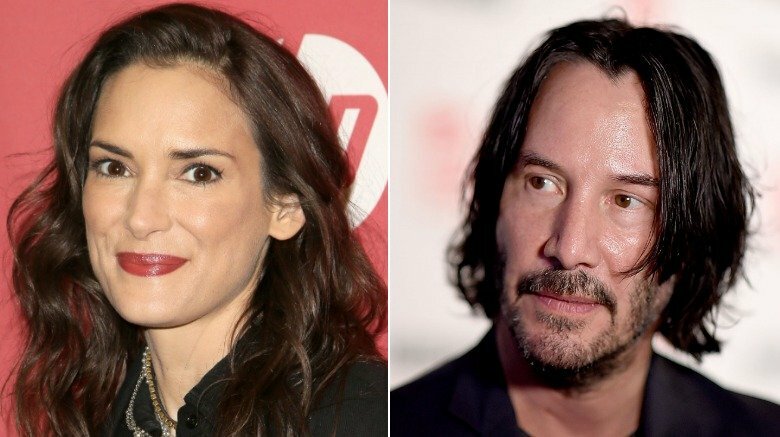 Clearly, the Stranger Things actress's relationship with Reeves survived all of her real-life drama, as in 2018 she told Today, "He has my back". Director Richard Linklater's A Scanner Darkly co-starred Reeves and Ryder, along with Robert Downey Jr. and Woody Harrelson. 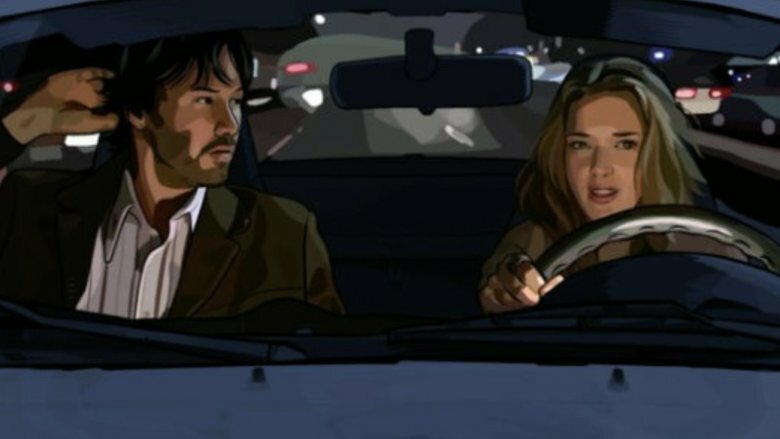 The movie was shot digitally between May and June 2004, with animators utilizing an "interpolated rotoscope" effect (per the Museum of Fine Arts Boston), whereby they "[traced] over the original footage frame by frame" to create a unique style of animation. The movie was released in 2006, and it's clear that Ryder and Reeves were more than happy to have reunited once more on another movie. 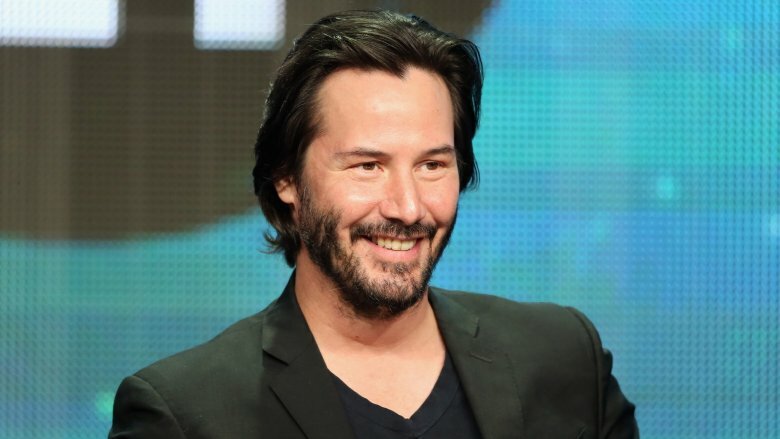 While promoting A Scanner Darkly in 2006, Ryder told Daily Express (via The Boston Globe), "Keanu knows I have a huge crush on him, I tell him all the time." 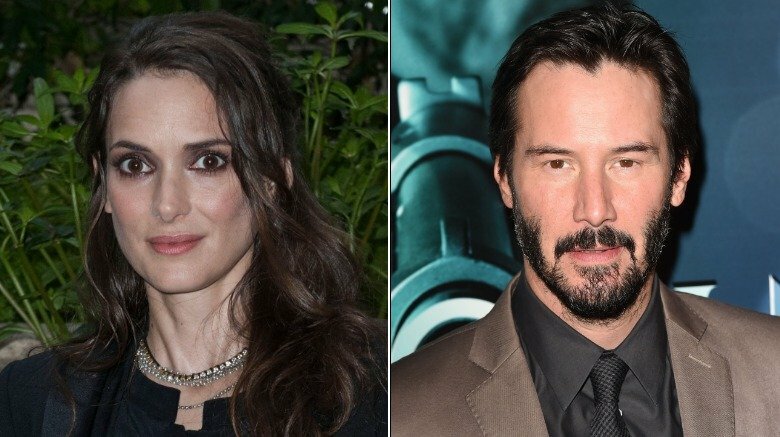 She continued, "My character cares very much about Keanu's character, and with Keanu it's very easy to care about him… I was frustrated because we didn't get to make out properly." Basically, reuniting onscreen with her Dracula co-star only served to remind Ryder of how dreamy Reeves really is, and we're here for it! And if they decided to make out a little more on-screen, fans of the pair would feel probably pretty happy about it too. 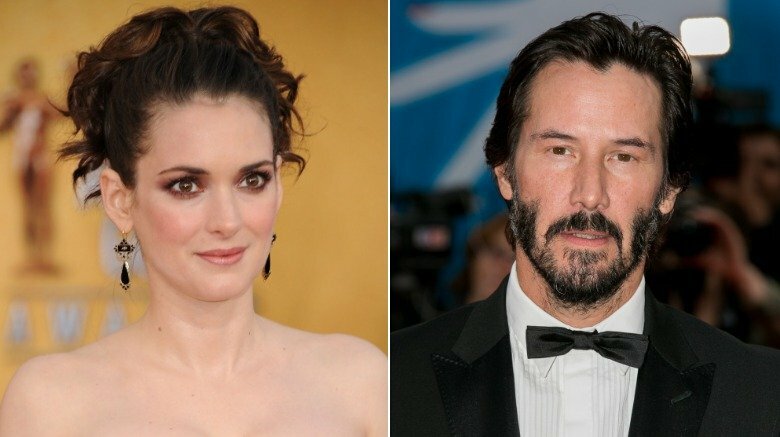 Reeves and Ryder reunited again to work together on The Private Lives of Pippa Lee, with filming starting in April 2008, per Screen Daily. Even though the performers didn't appear in any scenes together, they got the chance to spend some time together on set — something which Ryder is definitely grateful for. While promoting the movie upon its release in 2009, which co-starred Robin Wright, Blake Lively, and Alan Arkin, Ryder explained how Reeves had improved the entire filmmaking experience for her. She told BlackBook, "Most actors only agree to work on films for a specific amount of time." She continued, "I was like, Keep me up there the whole time. Little did I know it would be in Danbury, Connecticut, without a rental car, living off of a highway. I had to rely on Keanu, who had the car he drives in the film, to get me to Starbucks." Basically, if you're ever in need of a caffeine fix, Reeves is only happy to oblige. When stranded in the middle of nowhere, Reeves continued to support Ryder, which is incredibly sweet to hear, especially for anyone with an unshakeable coffee addiction. After their separate appearances in 2009's The Private Lives of Pippa Lee, it was almost a decade before the actors reunited once more. While promoting their romantic-comedy-drama, 2018's Destination Wedding, in which they played unlikely love interests, Ryder and Reeves managed to be consistently adorable throughout a slew of promotional interviews for the film. Speaking to Today, the co-stars proved that their chemistry is still alive and well, and is just as real when they're not making a movie together. As Ryder told the interviewer, "I meet cute him all the time." Reeves returned the favor explaining, "Every time we see each other, it's a meet-cute." Basically, we're swooning right now. As for why she suggested Reeves as her co-star in Destination Wedding, Ryder told Today, "He was the first person I thought of. I did, however, think that you may not be available … I couldn't imagine doing it without him." The Beetlejuice star also enthused that she wanted to work with Reeves again, "To have you to myself." 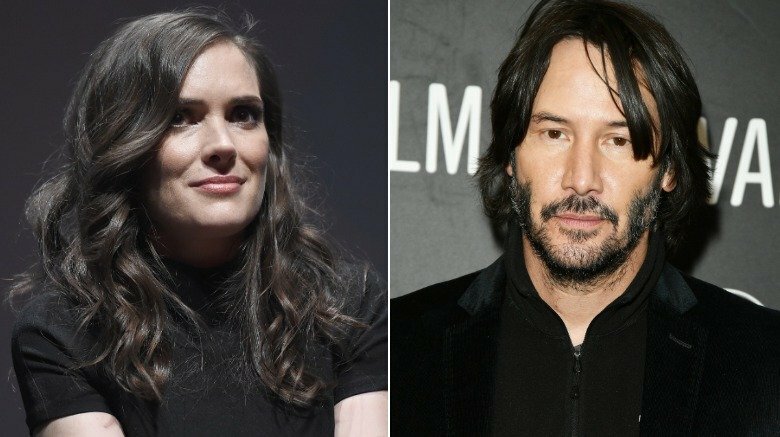 She confirmed her feelings for Reeves by saying, "I do have a real affinity, I've always had such love and respect for him." Reeves apparently feels the same way. "We enjoy each other's company," he told Today," adding, "We have a trust, we have a rapport." Could they be any more perfect together? If you've ever thought that Reeves and Ryder would make the perfect couple in real life, then you're definitely not alone. Speaking to Entertainment Tonight in 2018, Ryder revealed that when she first met Reeves in the late '80s, she "had a pretty big healthy crush on him." And the John Wick star felt exactly the same way explaining, "I had a big, healthy crush on [her] too." Our hearts just exploded at the mere thought of a real-life romance between these two Hollywood legends. As for whether there's still an attraction between them, Ryder joked, "Oh, it's still raging," and Reeves appeared to confirm it by telling Entertainment Tonight, "They're still there." In 2018, Ryder also told Vanity Fair, "I just love being together with him so much." She apparently even turned to Reeves during the interview and said, "My love for you," which he adorably reciprocated. And in May 2008, while filming The Private Lives of Pippa Lee, reports of a real romantic connection between the movie's co-stars were rife. Hello! magazine reported, "She and the Canada-raised hunk have apparently been demonstrating a 'more than just friends' attitude towards each other on the set of their new movie. … A source describes them as spending a lot of time in each other's trailer and being particularly affectionate on set." And making multiple coffee runs together presumably. The fact that Reeves and Ryder have worked together on several occasions now makes them reminiscent of old movie stars who regularly appeared together on screen. Basically, their enduring chemistry makes for something special, and Ryder has made it clear that she doesn't take their connection for granted. Opening up to Vanity Fair in 2018 about working with Reeves on Destination Wedding, Ryder said, "It's like what Katharine Hepburn said about Spencer Tracy." She continued, "'There's no embroidery. He just does it.' Which is so great. A lot of people embroider a lot." Ryder is a fan of Reeves's relaxed approach, making it unsurprising that they work together so often. She also revealed that Reeves used to send her handwritten letters, which is a cute and somewhat old school move. "We wrote each other a couple letters," Ryder explained to Vanity Fair. Addressing Reeves, she said, "You were one of two people who were still writing letters when email started to happen. You and Daniel Day-Lewis were the only two people whom I get physical letters from. It was so nice. People just don't do that anymore." Fans of Reeves and Ryder's inimitable chemistry need not worry, as the stars are hoping to work together again in the not-too-distant future. As Ryder told Vanity Fair in 2018, "My hope is to do many more movies with him." 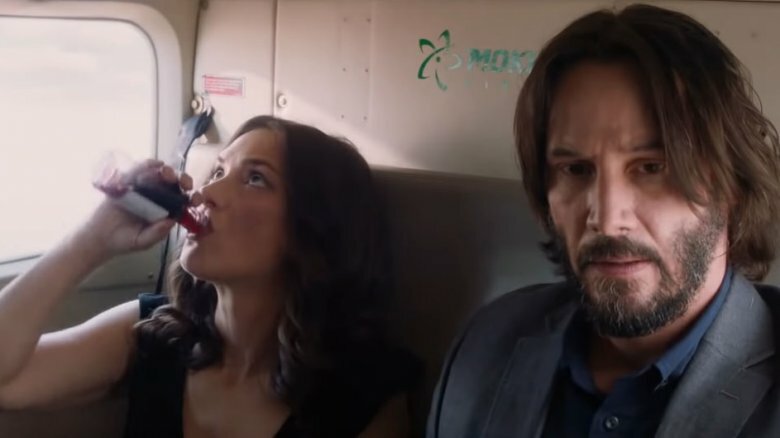 Reeves even hinted that a change of genre could be in Ryder's future saying, "You want to do action," suggesting that the pair could team up on a John Wick-esque action thriller in years to come. Ryder was also enthusiastic about working closely with Reeves on a crime movie saying, "I would like Bonnie and Clyde." However, there might be a reason that Ryder doesn't take on any action roles, as she explained, "But do you remember how bad I was with my physical therapy?" But rather than seeing that as a reason not to work together, Reeves started making suggestions to his co-star of imaginary future projects they could do: "We could do horror, a political thriller? Want to do a period film? You could play a '60s culture revolutionary?" Whenever Reeves and Ryder next decide to work together, they're sure to bring everything they've learned from their relationship through the years to the big screen once more, and that's always something to look forward to.